Cornelius Nikolai "C. N." Hiebert: minister and evangelist; born 24 March 1881 near Mountain Lake in Carson Township, Minnesota. He was the sixth of the twelve children of Nickolai C. Hiebert (12 January 1852, Lichtfelde, Molotschna Mennonite Settlement, South Russia - 18 September 1923, Hillsboro, Kansas) and Maria Wiens (20 April 1850, Altonau, Molotschna, South Russia - 23 November 1916, Mountain Lake, Minnesota), and younger brother of Nicholas "N. N." Hiebert. Cornelius married Katharina "Tina" Harms (29 July 1885, Lehigh, Kansas - 4 August 1942, Hillsboro, Kansas) on 24 September 1908 in Medford, Oklahoma. Katharina was the daughter of David Harms (1861-1931) and Eva Unruh (1862-1936). Cornelius and Katharina had 11 children: Esther, Martha (died young), Walter (died young), Ruben (died young), Hulda (died young), Albert, Erwin, Martha, Ruth, Naomi, and Clarence. After the death of Katharina, Cornelius married Helena Harms (24 May 1893, Lehigh, Kansas - 2 March 1983, Reedley, California) on 13 August 1943 in Waldheim, Saskatchewan. Helena was Katharina’s younger sister. Cornelius died 26 January 1975 in Reedley, California, where he was buried. Cornelius attended public schools in Mountain Lake from 1888 until 1901 was baptized on 11 August 1895 in Carson Township. Because of a teacher shortage in 1903, he was granted a permit to teach in a new settlement in North Dakota, though he had only completed grade seven. Later he was granted another teaching permit and taught in Minnesota for a short time. During his time as a farm worker, at age 23, Cornelius felt a call. He decided that if he couldn’t get enough education to be a preacher, he would be a "Bible colporteur." His father bought him some Bibles and allowed the use of the wagon. He began to preach wherever he could, moving through several states. While in Oklahoma, he became acquainted with a nurse by the name of Tina Harms. Tina and Cornelius were married at the home of her parents in Medford, Oklahoma in 1908. After their wedding Cornelius and Tina moved to Minnesota to live with his parents. In fall 1909 the Hieberts were asked by the Mennonite Brethren (MB) Conference to move to Saskatchewan where Cornelius could do colportage and evangelistic work. Hiebert was ordained to the ministry in Dalmeny, Saskatchewan on 21 June 1913. In 1915 they moved to Minnesota where Cornelius continued his evangelistic ministry throughout Minnesota, North and South Dakota, Montana, and Nebraska. In 1916 they moved to Oklahoma where Cornelius ministered in Kansas, Oklahoma, and Texas. They returned to Saskatchewan in 1918. Cornelius spent 1919–1921 studying at the Bible Institute of Los Angeles (now Biola University) in California, during which time he assisted in the work of the Los Angeles City Mission, a work of the General Conference Mennonite Church. The Hieberts returned to Saskatchewan were Cornelius continued his work as an evangelist for the Mennonite Brethren Conference. In 1925, the Mennonite Brethren Conference invited him to take over the city mission work in Winnipeg, Manitoba. The immigration of Mennonites from Russia at this time led to the rapid growth and development of a number of churches. During part of his stay in Winnipeg, he traveled to collect money and clothing for the refugees who had come to Winnipeg out of much suffering in Russia. His responsibilities included leading the North End Mennonite Brethren Church (now Elmwood Mennonite Brethren Church). Cornelius served as leading minister from 1925 until 1936. The family moved to Hillsboro, Kansas in 1941, where they purchased their first house. Tina died suddenly in 1942. Cornelius was married in 1943 at Brotherfield, Saskatchewan to Helen Harms, sister of his late wife. Helen attended Tabor College in Hillsboro, Kansas, and taught school for 26 years after completing her studies there. In 1948 Helen and Cornelius were invited by Mennonite Central Committee to Paraguay. For two years they walked or drove with oxen from village to village and from house to house, comforting, preaching, and helping people along financially with money received from friends in the United States and Canada. His wife capably conducted many services. After they returned to the United States, they reported on the work in South America to many churches. In 1952 the MB Conference sent them to Germany where they began work with refugee Mennonite families in Hümmerich near Neuwied. They helped start the MB Church at Neuwied. Between overseas assignments and after their return from Germany the Hieberts lived in Hillsboro, Kansas. After his retirement from active ministry, the Hieberts moved to Reedley, California in 1955. C. N. Hiebert died in Reedley in 1975; his wife Helen died there on 2 March 1983. C. N. Hiebert’s ministry as an evangelist extended to every corner of the North American Mennonite Brethren Church and beyond. Cornelius loved people and his ability to communicate the gospel to both young and old had a lasting impact on the life of the church. GRANDMA (The Genealogical Registry and Database of Mennonite Ancestry) Database, 6.00 ed. Fresno, CA: California Mennonite Historical Society, 2009: #336957. Hiebert, C. N. "The Story of My Life." http://www.hiebertweb.net/story_library/cn_hiebert_1.html (accessed 18 December 2009). Horch, Esther Hiebert. C. N. Hiebert Was My Father. Winnipeg: Board of Publications of the Canadian Conference of Mennonite Brethren Churches, 1979. Center for Mennonite Brethren Studies, Fresno Pacific University, Fresno, California. Record Group No: M66. Centre for Mennonite Brethren Studies, Winnipeg, Manitoba. Volume 965. Thiessen, Richard D. "Hiebert, Cornelius Nikolai "C. N." (1881-1975)." Global Anabaptist Mennonite Encyclopedia Online. June 2011. Web. 21 Apr 2019. http://gameo.org/index.php?title=Hiebert,_Cornelius_Nikolai_%22C._N.%22_(1881-1975)&oldid=138862. Thiessen, Richard D. (June 2011). 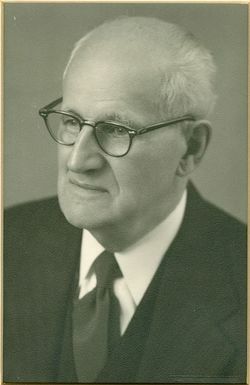 Hiebert, Cornelius Nikolai "C. N." (1881-1975). Global Anabaptist Mennonite Encyclopedia Online. Retrieved 21 April 2019, from http://gameo.org/index.php?title=Hiebert,_Cornelius_Nikolai_%22C._N.%22_(1881-1975)&oldid=138862.